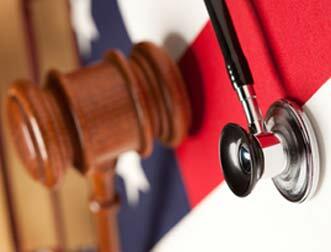 As House Republicans continue to advance their agenda in Washington in efforts to replace the Affordable Care Act, one of their anticipated changes to the civil justice system includes a change to medical malpractice laws. Their proposed bill would impose a limit of $250,000 on suits involving care covered by Medicare, Medicaid or private health insurance subsidized by the Affordable Care Act. This limitation would, as a practical matter, eliminate any recovery by victims of medical negligence as there would be no longer be any cost-effective means for these victims to pursue their claims. The argument of supporters of this bill is that many of these claims are “frivolous,” creating a bottleneck on the court system and increasing the health care cost for everyone. But the question is, where is the evidence in support of this argument? The number of malpractice lawsuits filed in Pennsylvania has decreased steadily and dramatically, and statistics published by the Pennsylvania Supreme Court document a 44% decrease in filings between 2000-2015. Moreover, the New England Journal of Medicine published a study in 2006 which concluded that most claims which were asserted and which were not associated with actual medical errors resulted in no award against the physician. In other words, the legal system seems to be working as it should. With that in mind, is it safe to say that the best way to solve these lawsuits is by focusing on changing the legal system rather than looking into the medical system itself? Not so fast. Where does patient safety fall in all of this? A study published last month by The American Journal of Health Economics reviews the connection between hospital adverse events and malpractice suits. Using metrics developed by the Agency for Health Care Research and Quality known as Patient Safety Indicators (P.S.I) which are designed to measure rates for 17 types of adverse events, the AJHE used these indicators to evaluate a data set from hospitals in Florida and Texas. Their goal was to measure how the rates from these indicators were related to malpractice claims for hospitals. Their theory after evaluating the results of the study was that there is a correlation between the P.S.I. Rates and malpractice claim rates, arguing that poor safety measures make medical errors more likely, which then, leads to more malpractice claims. This study only includes hospital-level data for Florida, which shows that among the larger hospitals, adverse events ranged from 55 to 390 per 10,000 discharges, confirming their theory. Although Patient Safety Indicators are accepted measures of safety, just like any other human established system, there are also imperfections. Taking steps to improve overall safety, and perhaps taking a patient first approach to service, should, in fact, reduce the number of lawsuits by reducing the number of victims of medical negligence in the first place. A patient first safety first approach will help improve P.S.I. Scores which then contribute to improving the overall outcome for patients.